Hamish and Andy salary is a lot larger than you may have expected. How much do Hamish and Andy earn in a year? Hint: A lot. This is an incredible salary for the dynamic comedy duo. 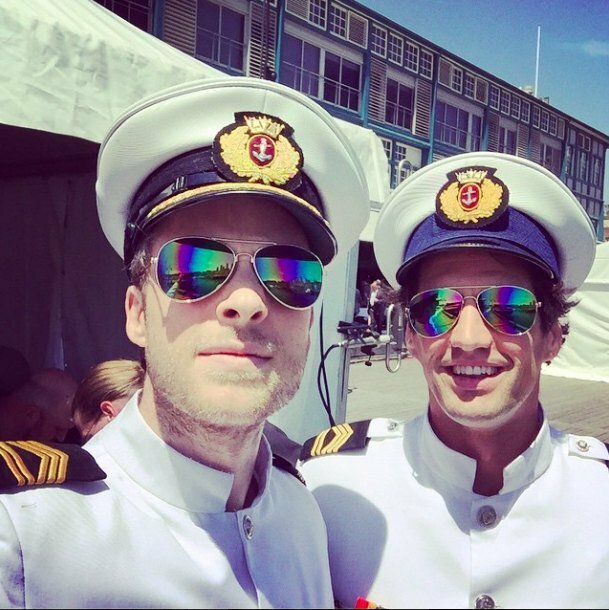 Hamish Blake, 32, and Andy Lee, 33, are set to become the highest paid radio announcers in the country. The pair are moving back into their breakfast radio spot with Southern Cross Austereo (SCA), after their departure last year saw the network lose $500 million. So how much are they being paid to return? I&apos;d have a smile this big too if I earned $4 million a year. “It is pretty amazing that they are paying Hamish and Andy $4 million each per year when you think that Kyle and Jackie O were asking for half of that a year ago,” said the Daily Telegraph&apos;s source. SCA announced Hamish and Andy’s return to radio at the end of October with the duo set to take over the national drive slot in July 2015. We only wish our salaries looked like THAT. Hamish and Andy at war! Kyle and Jackie O quit popular radio show.